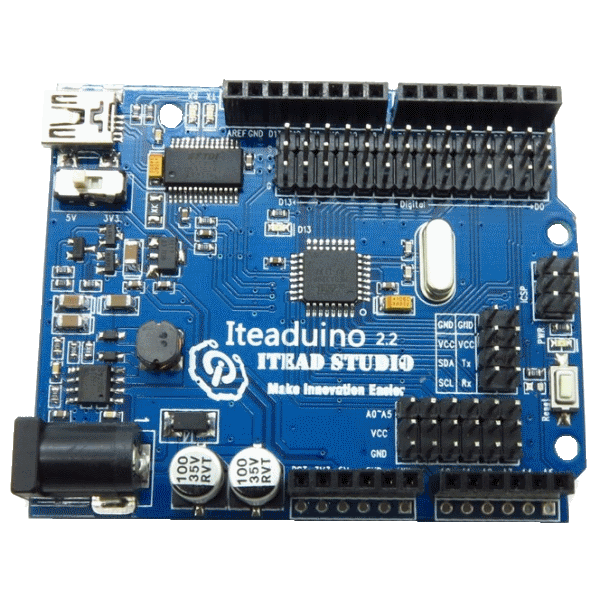 The Iteaduino is an Arduino compatible controller board based on Arduino Uno and is 100% compatible with existing programs and shields. 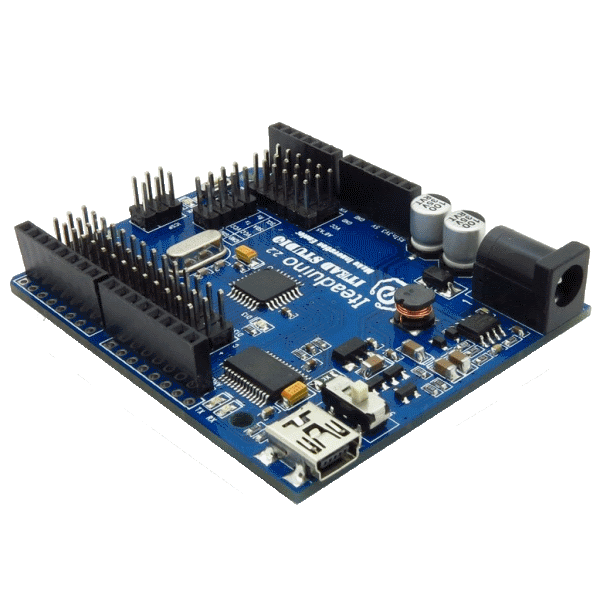 This microcontroller provides extra features yet consumes only about half the power as original Arduino boards. A DC-DC power supply design provides higher conversion efficiency than the original Arduino boards and can cut power consumption in half. This board can work at both 5V and 3.3V levels at the flip of a switch so you can use Iteaduino to connect with 3.3V level devices directly. The Iteaduino microcontoller board has all of the pins broken out. Handy 3 pin headers are available for most pins. Each 3 pin set includes the digital or analog I/O signal in addition to VCC and GND, greatly simplifying connections to sensors, servos and other modules. Both the I2C and UART pins are also exposed. Compatible with Arduino UNO pins, holes and dimensions. Male header pins for easy connection to sensors and servos. Wide power supply range from 7~23V DC. Easy to access reset button. Easy to see indicator LEDs. Mini USB socket for more space. Note: the Iteaduino uses the FTDI USB-to-serial driver chip and Duemilanove bootloader instead of the UNO bootloader. 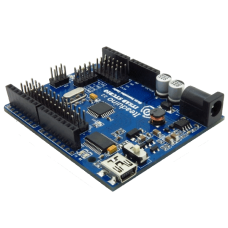 Please choose the "Arduino Duemilanove or Nano w/ ATmega328" under the "Tools"->"Board" menu when connecting via the Arduino IDE. No special drivers are required.